Recruiting is a tough job. Making mistakes along the way is inevitable. However, there are ways to avoid these mistakes. 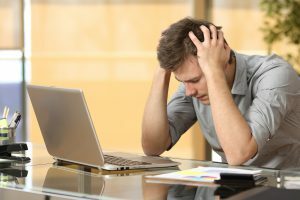 There are a few common issues that can crop up with the overall hiring process when it comes to IT recruiting. Below, you will find tips to help you overcome any mistakes you might make. Did you know that using Recruiteze can reduce all of your online hiring mistakes? That’s right, so start using our free applicant tracking system today. Job Description – Many recruiters fail to realize just how important job descriptions are once they’re put out there for the public to see. The hiring process actually starts with the advertisement for an open position. Overall, this can be the first impression for candidates. It’s important to make sure the description is accurate and precise. It should perfectly describe the available position, requirements that are expected and at least two essential skills. The description should be short and to the point. Many times, candidates will choose which jobs to apply for depending on the type of description. If they do not feel that the job advertisement is something exciting they will pass. Interviewing – Sometimes, our lack of prep for an interview gets in the way of hiring top talent. It’s important to make a great first impression. Otherwise, the applicant might form a bad overall impression of the company. It’s important to keep in mind that prepping for all interviews is essential. Be sure to do extra research on the candidate and have questions ready. Dress professionally and appropriately. Also, make sure the interview is conducted smoothly and properly. It’s important to sell the position and company in a way that is appealing to the candidates. Keep your interested candidates organized with our free applicant tracking system. Recruiteze makes hiring easy. Get started today, for free! Interaction – Believe it or not, lack of enthusiasm from an interviewer is one of the top reasons candidates do not accept an offer. Applicants are interested in working for a company that everyone is excited about. They also want to know that the company is excited to have them as an employee. Recruiters who do not show enough enthusiasm can consider the interview a complete fail. It’s up to hiring managers to paint a picture of what the candidates will be experiencing, day to day, while working for your company. You need to engage them in this interview and show them realistic examples and expectations. This is a great way to sell the job without leaving any of the important details out. Offers – One of the biggest mistakes recruiters make when offering jobs is waiting too long to make an actual offer. If you found the perfect IT candidate and know they are the right fit for the job, try to cut screenings, interviews and other essentials down to a two to three day period versus two to three weeks. This is a great way to ensure you get this candidate off the market and in your company immediately. Waiting more than a few days to make an offer can result in losing the candidate to a competitor. Negotiations – There are times when candidates are offered a position and then get a counteroffer from their current employer. During this time, the applicant might try to get in touch with you to talk about whether or not they should accept your offer. When they can’t reach you, candidates become frustrated and assume that they are being ignored. This is not a great way to get off on the right foot. Be sure to work with the candidate from the beginning stages of hiring to the very end. This means reaching out to them and checking in on them even after they’ve accepted the offer and begun training. Remember, recruiting is a tough job. It’s especially hard in an industry that is continually growing like IT. However, even if you do make mistakes along the way know that there are simple fixes to each issue. We hope these tips help you find top talent for your company. Choosing the right HR department, small business, or online recruiting software is easy with help from Recruiteze and iReformat! The best news for you is that Recruiteze and iReformat are available for free with a basic membership. Recruiteze is the best, free applicant tracking system that allows candidates to apply to be added to your database immediately. End-users can access candidate resumes online and make changes quickly. Recruiting based on client needs has never been easier with your custom job board. It allows candidates and customers easy access to information and creates a level of professionalism expected in today’s marketplace. Are you happy with your current recruiting software? Then get iReformat today as a free add-on! iReformat allows you to format resumes for free. In addition, we are proud to offer you a free 15 day trial of any of our other memberships. Other packages start at $10 per month and offer unlimited support, users, and more! We’ve taken the boring administrative work out of your daily recruiting tasks, so don’t wait – use Recruiteze and iReformat today to help reduce the time consuming process of filtering through resumes and applications to make a hire. If you have any questions or are interested in our enterprise package that offers unlimited access to all our services contact us today! Are you worried that your in-house recruitment process is lacking? Do you have a high turnover rate for employees? If so, you there are several things you can do to improve your overall hiring process. Make sure you stay on-topic during interviews by asking questions that pertain to information needed to make a decision on which candidate to hire. Refrain from asking questions like “What animal would you be in another life?” or “What country would you prefer to live in given different circumstances?” These questions lead to answers that won’t reflect the candidate’s skills, knowledge or experience. Of course, every single candidate you meet with will say they’re excited to work for you and have the skills necessary to do so. What if they’re not being 100 percent truthful in that? Testing their ability and excitement for working with you is key. Written tests, role-playing and simulation instances are best for testing. If you’re hiring a PR manager, have them write up a mock-press release. Have a marketing exec write up the perfect marketing plan, complete with key components. Think outside the box when coming up with ways to test candidates and you’ll find that the best ones will pass with flying colors! Testing job seekers offers a way to weed out those that aren’t dedicated to your company or the position, as well as make sure they’re capable of doing the job. Once you’ve gone through each individual and chosen the best candidate for the position, it’s important to call them back for one final interview. This meeting should include colleagues that will interact with them most. Doing so will help current employees get a better feel for the upcoming situation, as well as, get to know a little bit about the candidate before their first day. In addition, if there are any issues, personality conflicts or other problems that might be a worry, moving forward, you’ll be able to make adjustments, as needed, before things get too bad and you find yourself going through the overall process of hiring, again. There are also several things you can do to help improve the recruitment process, in-house, before you even begin searching for new employees. For more information and tips, be sure to visit back with us on our next blog post! 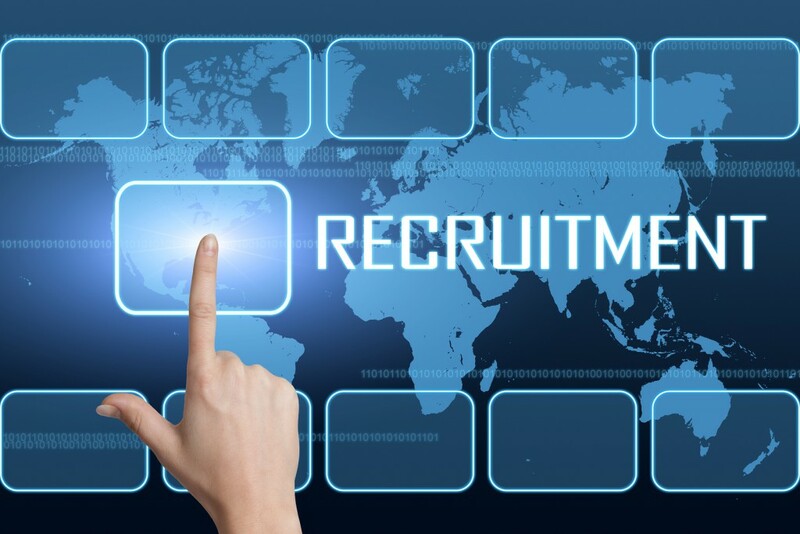 To maximize your recruiting efficiency, applicant tracking systems can help. To get all the benefits from these amazing systems, combine them with Recruiteze and iReformat! Using our products takes the redundant administrative work out of recruiting. So don’t hesitate to use Recruiteze and iReformat to help reduce the time consuming process of hiring new employees and filtering through resumes and applications. Click here to read more about all the great benefits of using Recruiteze and to start your free trial. iReformat comes standard with Recruiteze but also makes for a great add on to existing applicant tracking systems. It reduces the time it takes to format all the submitted resumes for your job openings. Click here to use iReformat for free. If you have any questions or are interested in our enterprise package that offers unlimited access to all our services, contact us, today! If you’re interested in going the traditional route when posting job openings there are several beneficial options you can take advantage of. While you won’t reach as broad of an audience as online ads do, local residences interested in the position will more than likely see it and apply. No matter what your choice is for advertising, you should make sure the job description is clear and defined. Many print ads limit word use so be careful when choosing what you say. Writing a description that’s accurate and interesting will improve your chances of finding the perfect candidate. An age-old way to look for a job is via the classifieds in a local newspaper. This is a great, low-cost way to reach individuals who might be interested in working for your business. This option is a great way to seek technical or professional help. Many businesses that use a trade journal for postings have specific skills and backgrounds in mind for their candidate choice. These ads can cost a bit more than a newspaper ad, but the quality of applicants will be higher. Unfortunately, the turnaround time for this method can be slow. If you’re in a hurry to fill a position, this isn’t the solution for you. Publications are often only published monthly or quarterly. Because of this, you might not have any actual applicants for a while. The journal has to circulate for at least a week after it’s published, as well, in order for individuals to begin noticing the ad. While this method is extremely effective, it’s also quite costly, as well. Depending on your budget and need to hire, you might find that this option is great for your needs. However, it’s impossible to target specific audiences via T.V. and radio ads. 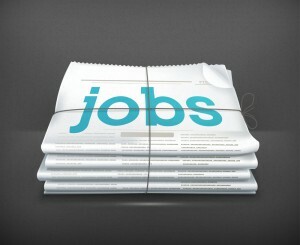 Where to Post Your Job Openings Online – Free or Paid? Recruiteze is a highly-rated, free staffing agency software that allows job candidates to apply, and be added to your database instantaneously. End-users can access candidate resumes online and make changes quickly. Recruiting based on client needs has never been easier with your included custom job board. Candidates and customers have easy access to information at anytime, and our solutions create a level of professionalism expected in today’s marketplace. Click here to read more about all the great benefits of using Recruiteze and to start your free trial. iReformat is our other product. It’s an automated system that formats resumes with no hassle or time consuming processes. iReformat comes standard with Recruiteze but also makes for a great add on to existing applicant tracking systems. Click here to use iReformat for free. In addition, we are proud to offer you a free 15 day trial of any of our other memberships! Other packages start at $10 per month and offer unlimited support, users, and more! Are you finding it difficult to locate job applicants that are a great fit for your company? Do you wonder what might be causing this problem? If your recruiting efforts aren’t helping you find the quality personnel that your company requires, there are a few things you should consider, before continuing with the process. Quality job seekers have a choice in where they work, despite the high unemployment rate. They’re looking at advertisements from companies much differently than under-qualified candidates are. One of the biggest reasons as to why you’re not getting superior job applicants is that your recruiting efforts aren’t appealing to them. Below, you’ll find several ways to boost your efforts in order to find excellent workers. Advertisements – While you might be searching job boards over and over again, adding actual ads in newspapers and other social media or internet outlets might be the best idea. Job boards aren’t the only place individuals are seeking work. Traditional forms of media are the first place many applicants look. Job Descriptions – Does the explanation of work lack interesting and appealing details? Don’t assume that the post you put out there has to be short and sweet. Take time to really describe the position and who you’re looking for to fill it. Requirement List – How long of a list do you have out there for necessities? Take a long look at it and really dissect it. Does the position you’re filling really do all the things listed? Many times, qualified, quality applicants take a requirement list that’s too long as a reason not to apply. Combine efforts and shorten the list. Benefits – Many employers never mention benefits in a job description or advertisement. Why not? Whatever the reason may be, failing to do so will result in applications from less than qualified candidates that aren’t best for the position. Those that are capable won’t apply. Valued contenders are looking for the best possible career out there. They want to know what’s in it for them before they apply. Recruitment Process – Thinking that you’re able to search for and hire candidates all on your own might be your biggest fail. It’s important to give applicants your best effort. That’s why choosing to use software like Recruiteze might be in your best interest! To maximize your recruiting efficiency by using our staffing agency software for formatting resumes, and to gain all the benefits from using an applicant tracking system, consider using iReformat. We offer a free, 15 day trial (no credit card required) so that you’ll be confident in your decision to use iReformat for all your employment recruitment and staffing needs. In addition, Recruiteze is an online applicant tracking system where candidates can apply to be added to your database immediately. End-users can access resumes online and make changes quickly. Recruiting based on client needs has never been easier with your custom job board. It allows candidates and customers easy access to information and creates a level of professionalism expected in today’s marketplace. We’ve taken the redundant administrative work out of recruiting. So don’t hesitate to use Recruiteze to help reduce the time consuming process of hiring new employees and filtering through resumes and applications. Want to read more about all the great benefits of using Recuriteze, or start your free trial, click here! To maximize recruiting efficiency with an existing applicant tracking system for small business, consider using iReformat. iReformat is our other product. It comes standard with Recruiteze and allows you to format resumes quickly and easily. iReformat also makes for a great add on to existing applicant tracking systems. You can use iReformat for free as well and format up to 10 resumes per month. Click here to use iReformat for free.